It's that time again! Emma has a new stamp release this month and what better way to kick it off but with a Sneak Peek Week! Each day this week, some of our design team members will be show casing a stamp set or die. 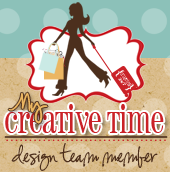 Please make sure you stop by My Creative Time for yummy sneak peeks! Today, the design team members are show casing the "Label Font" and the "Circle Font" stamp sets. We all love fonts and these are going to blow you away! Do you know how much I love my Smash books right? Well, here is the perfect font for it! The word "BESTIES" is actually a stamp!! I added glossy accents to finish it off. It looks just like a label maker!! 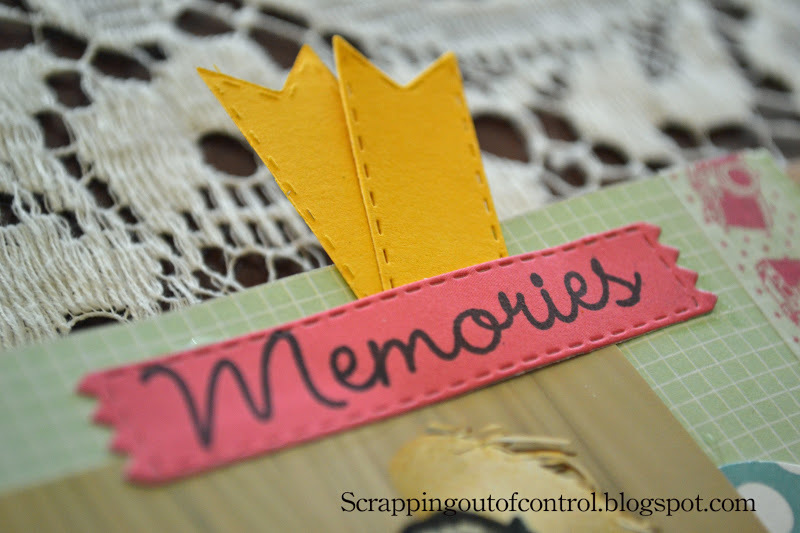 This would also be perfect for project life and any scrapbooking pages! !! LOVE!!! Anyways, I have a video for you all! YAY! 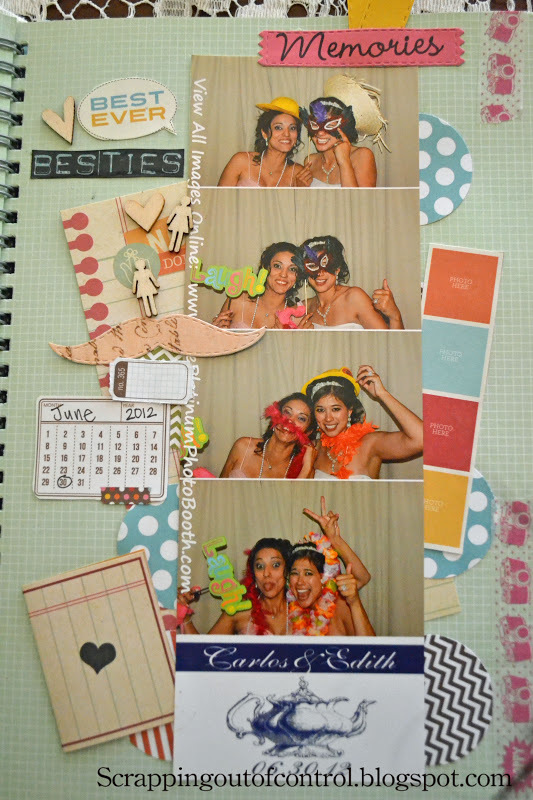 Oh and in case you are wondering, this is a pic of me and my bestie at her wedding. She had a photo booth set up at the reception. Fun times! Emma will randomly pick & announce all winners on Thursday, November 15th during the release happening @ 8:00am PST in her video! GOOD LUCK! Make sure you stop by and visit Emma this week for more sneaks! Thanks for stopping by today! 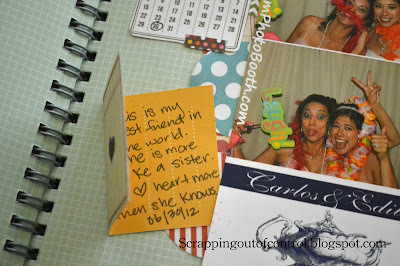 Big crafty hugs to you all!! This is such a GREAT smash page!! LOVE all the MCT stamps and dies!! The new Label Font...I so want it now...LOL!! What a beautiful page!! WOW! Love all the details...awesome photos!! Awesome job!!! Awesome smash page you are nailed it and the new font is perfect for this and you really worked all of Emma's products. This is absolutely adorable, and I LOVED watching your video, seeing your creative process! Great music too!!! What a great page. 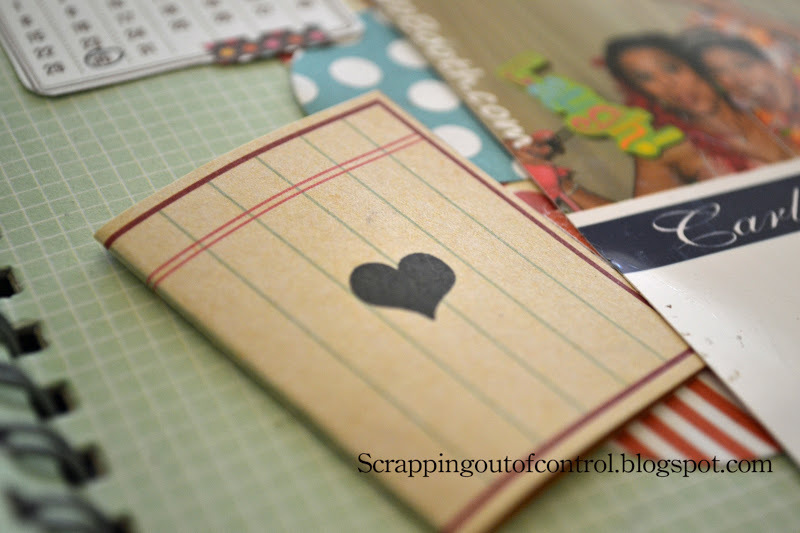 Love the journalling inside the tiny card and the new fonts are just fabulous. 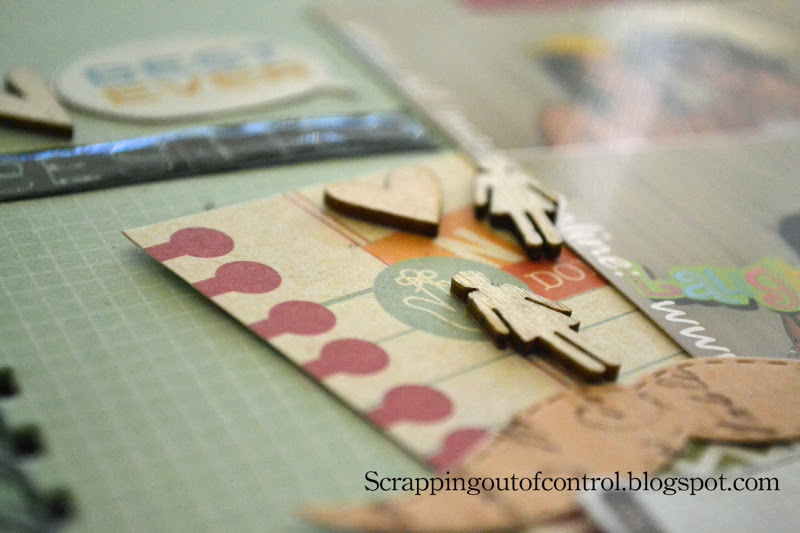 Fantastic job showcasing the release with your smashed page! Beautiful job! Thank you for sharing. Amazing layout Nancy! I am so excited about these new fonts they are perfect for smashing & PL. ACH...I love watching your smashbook videos!You make it look so easy....I need to work on the "not so perfect, everything lined up" issue I have, and just have fun. This is awesome. Thanks for teaching me with your videos! I love it!! this layout is sooo cute! very cool smash book page love all the little details! Great job on your page! I love how you used your stamps and the little open note is great. Very cute page! Thanks for the chance to win! Love it! This is so cute, I love the colors you used and all the detail you put into your page:) Thanks for sharing! Wow, awesome smashing page, I love it, thanks for sharing. Love your smash book page. The label fonts really is perfect for this type of project. Thanks for sharing your ideas. Great project! Love allt he little touches and your creativity. I LOVE THIS!!! what a great layout! I still haven't done a layout. I'm going to have to set time apart and pick a picture and just do it. I think I'm scared. What a fun layout! This font is perfect for smash books! Great, Great. Very friendship layout. Thanks for share with us. What a fun smash layout! I love all the details you used in it and that font is so perfect! Looks like a must have set!! Great smash layout--love the label font. I love this smashbook page. What fun and cute pictures and a great way to keep those memories alive.! LOVE this!!! It turned out so cute! Loved the video too! thanks for the inspiration!! What a great layout! Looks like you and your bestie had so much fun! I just love your videos. And those little wooden people are just too cute!!! Super fun layout! You can tell you were having a blast! Such a cute Smash page. Love your music on your video! So fun! Love your smash LO!! Great pics!! Awesome smash book page I love it!!!! Your AMAZING... I love watching what u come up with... TFS!!!!! Nancy ~ I must say you are the "Queen" of smashing in my eyes! I just ADORE how this turned out! Seriously!! You add the PERFECT amount of details, in the right places and make it seem so EASY! When I watch your videos I am ALWAYS in AWE let alone seeing the final porduct! YOU RROCK my friend!! What to BEAUTIFUL woman celebrating such a PRECIOUS memory!! 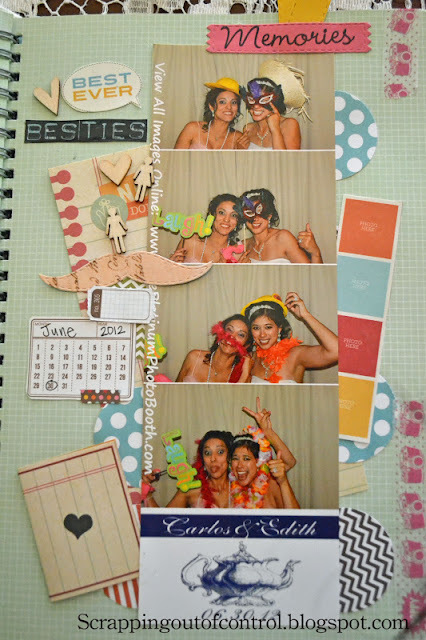 LOVE the idea of the photo booth at her wedding too! Awesome job as always!!! Love you page. Very pretty. The new fonts go well with everything. Very cute smash book page! You could use Emma's new release in so many ways for smashbooking!! this is a great page! i can't wait to play with these fonts!